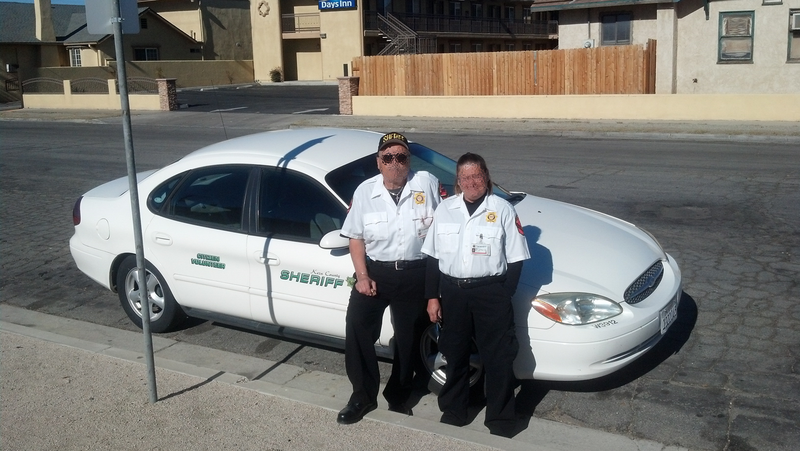 December 4: After six months of recruitment and applications and training… Mojave’s own Citizen Service Unit (CSU) takes to the streets in an effort to bring more eyes and ears to the community. Mojave’s CSU team of volunteer police consists of eight individuals, who will conduct non-hazardous law enforcement activities, such as transporting vehicles between Mojave and Bakersfield, vacation checks, handling documents and evidence, and establishing a greater presence in targeted areas. The arrival of CSU could not come at a better time, as Mojave has suffered from 15 break-ins or attempted break-ins in the last 30 days, and some CSU volunteers will be helping the Sheriff’s Deputies provide over-watch in some of the most affected areas at night. CSU members are required to serve eight hours per month, and attend monthly meetings, but this class of volunteers is eager to hit the streets until this recent crime wave subsides. For more information on volunteering with CSU contact Todd@MojaveFoundation.org, or click here to fill out an application. This entry was posted in Kern County Sheriff's Office (KCSO), Mojave CA, Security on December 4, 2013 by mojavefoundation.